During my first pregnancy, one of the items at the top of my wish list was a video monitor. I nannied for a family during college that had one and I loved being able to physically see their son as he napped in his crib or to check on him if he cried before going into his room. When you're only able to hear a child without actually seeing them, it's nearly impossible to know what they may need or attend to them accordingly, and it's amazing how much easier a video monitor makes the difficult job of parenting! In early 2013, we ended up purchasing a Summer Infant video monitor before Olivia was born and still use it today, even now in her big girl room. I have it mounted on the wall overlooking her twin bed and I love being able to peek on her as she's winding down at nap time, to see how quickly she falls asleep at bedtime, or check what she's doing if she wakes in the middle of the night. For us, our video monitor has been so incredibly helpful over the past two and a half years with Olivia, so when Summer Infant asked if I'd like to feature one of their newest and most popular HD monitors in Penelope's room, I didn't even have to think about it! 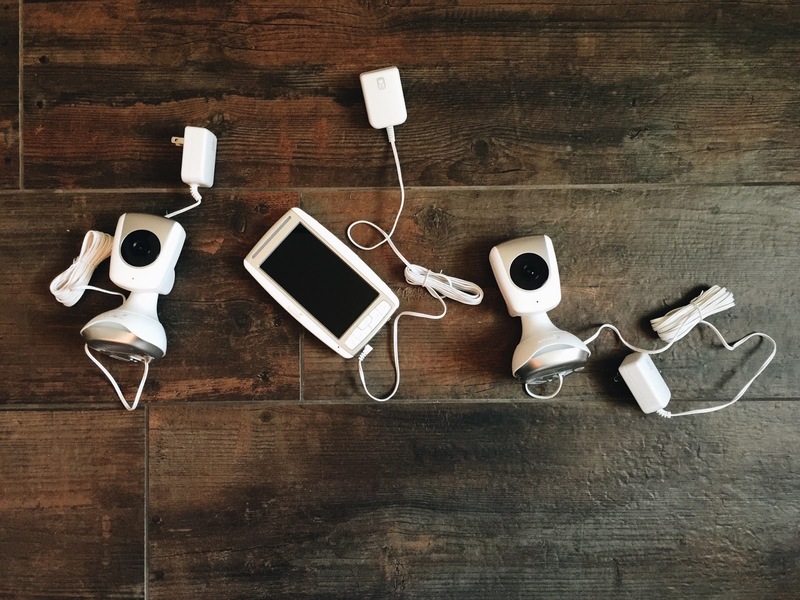 Not only do I have such a positive opinion of the company as a whole, but would also consider a Summer Infant video monitor one of my top New Mom Must Haves, and Summer Infant is the leading brand of all infant video monitors, so you know you're getting the best of the best! Summer Infant offers a wide variety of audio, video and Internet compatible monitors. The one we have in Poppy's room is the Sharp View HD Duo High Definition Video Monitor, which features two cameras and a large 5'' color LCD flat-screen to view your babe. We have one camera mounted above her crib and the other above her changing pad, angled to look into her bassinet which sits in the middle of the room. The picture quality is excellent...it definitely feels like I'm looking at her instead of through a screen, and I love that I can zoom in significantly to get a closer look. The monitor offers two-times the resolution of traditional baby monitors, two-way communication (something I always wished I had with our original monitor), a soft-glow nightlight and one of my favorite features, a temperature display so I know how hot or cold her nursery is. As soon as our monitor arrived I put my hubby to work hanging it. I love having two cameras so that I'm able to capture her room and crib from two different angles. At only two months, Penelope actually still sleeps in her bassinet, but the way our cameras are set up, I'm able to view her in it at night if she isn't sleeping in our room in her bassinet beside me. Little by little, we have been transitioning to her crib for naps, so that around three months we can fully move her from her bassinet to her crib the way we did with Olivia. I feel the best when Poppy is within an arms reach of me while sleeping because even at two months she still feels so new and tiny, but having a video monitor takes so much stress off if she isn't beside me since I can peek on her anytime I want. I love the large 5'' screen of the handheld display -- it's much bigger than the monitor I use with Olivia, and captures such a great picture of your baby's entire environment, including all their surroundings. The cameras themselves can easily be moved and manipulated once they're mounted, making it super simple to capture what you desire without having to take them off the wall and rehang them. They hang on a single screw but still remain sturdy and each camera has an On / Off switch, which is really nice since I leave them plugged in but don't need the actual camera on 24-7, so by switching them off I'm able to conserve a bit of energy! Even if I can't always conserve it as a Mom, at least I can conserve it somewhere!! If you have a favorite New Mom Must Have that you'd like to share, I'd love to hear from you! I'm sure with every baby I have, there will always be new products out there and technology continues to change so rapidly, but our Summer Infant monitors will remain staples with our girls for many years to come! Happy Monday!